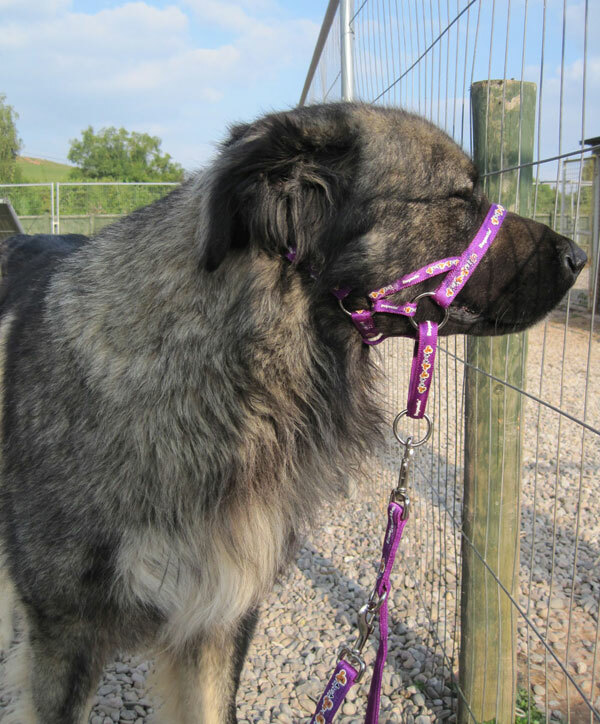 The Dogmatic head collar gives you really good but gentle control over your dog and is very comfortable for your dog to wear. 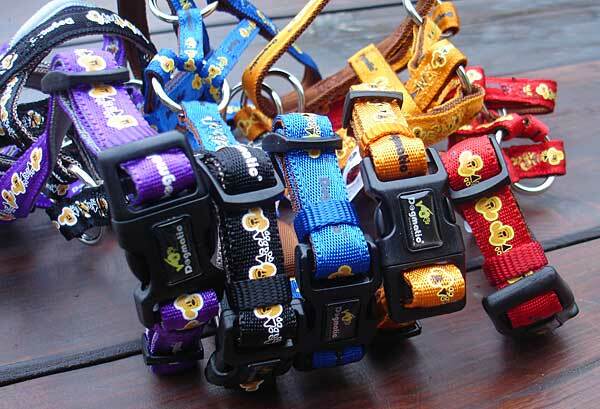 In emergency situations, it can also be used to close the dog's mouth and prevent biting. The Dogmatic stays in place and does not ride up under or into the eyes causing your dog distress. We stock sizes 3 and 3L. Size 3 usually fits most normal sized females and 3L for males. 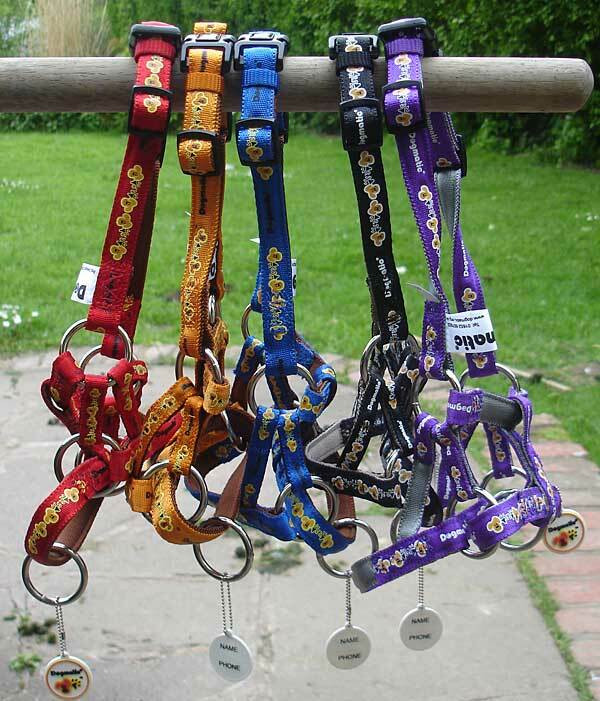 You can choose from purple, gold, blue, red or stylish black and silver. We recommend that you do not rely totally on a head collar alone but double lead to a normal collar for safety. We also stock matching double-ended training leads. Price includes P&P - we send by first class recorded post.